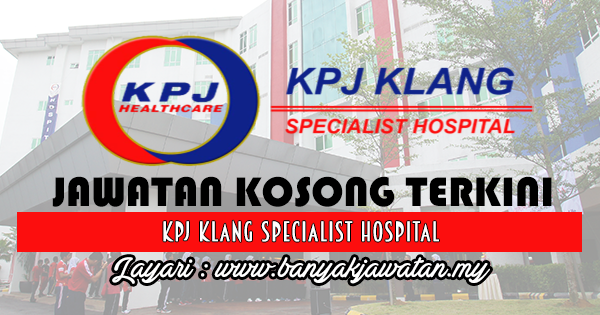 KPJ Klang Specialist Hospital is the 21st Hospital of KPJ Healthcare Berhad and is located in Bandar Baru Klang, a modern township of about 2km away from the Klang Town Centre in the state of Selangor. KPJ Klang opened its doors in May 2012 and to date the hospital has 90 beds and is continuously expanding. KPJ Klang Specialist Hospital offers a myriad of specialties and wellness services with the latest medical advancement supported by experienced medical professionals. 0 Response to "Jawatan Kosong di KPJ Klang Specialist Hospital - 6 December 2017"